Meet little LeBelle! 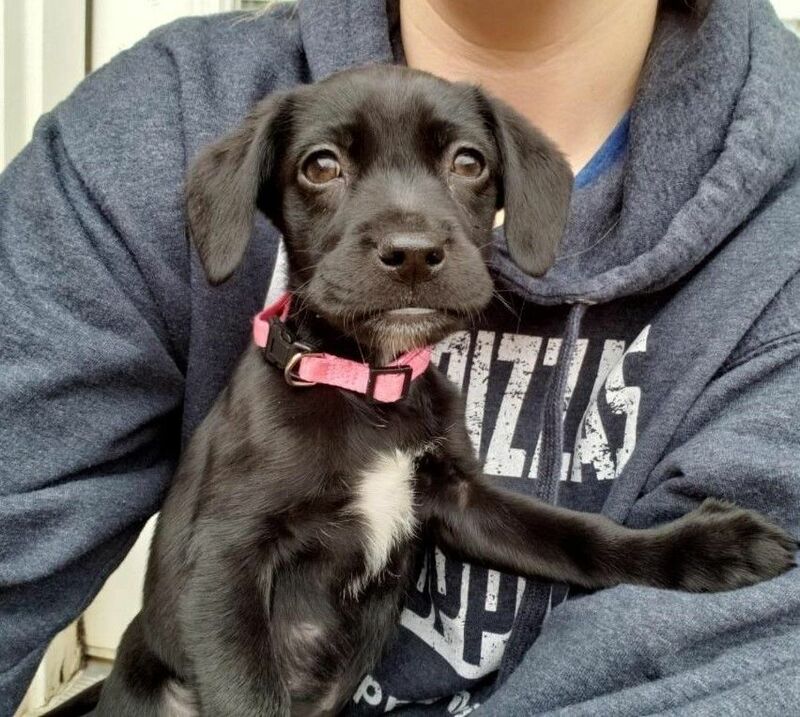 She is a sweet little girl who came to CARE with her mother who was a Cocker Spaniel and 6 siblings and she is the tiniest one in the crew! They have all done a lot of growing with CARE and in their foster homes and are now ready to head off to forever homes! LaBelle has been in a foster home with two of her brothers and some cats and is learning all about how to be a good pup. She is hoping to find a family with lots of love and attention to give her! If you think that is your family and want to learn more about her please fill out an application at www.caretx.org/adopt. To find out more information on this dog please apply to adopt on our website at http://www.caretx.org/adopt and CARE will be in touch with you ASAP! This dog was rescued from a kill shelter or the streets and has been evaluated for medical and temperament to prepare for a forever home and is in a foster home in San Antonio, Texas* and is ready to fly to its final destination once adopted. The adoption fee of $750 covers spay/neuter, vaccinations, health certificate, and air transport * CARE rescue is in San Antonio, TX where we have a serious pet overpopulation situation. CARE is a non profit 501c3 rescue that has been saving lives for over 9 years and with your adoption, we can help save even more deserving urgent adoptable pets! We fly our pets to approved adopters all over the US, especially in low kill and no kill markets where there is a demand for rescue pets!